The 70s may be gone, but their groovy style is definitely not forgotten. 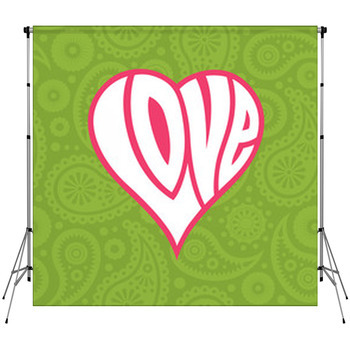 Toddlers to Teens still appreciate those bright retro colors, big wavy lines and funky designs found on any groovy backdrop design. 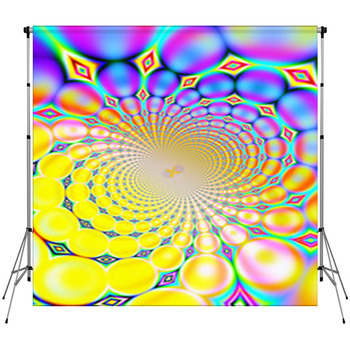 These backdrops make the perfect background for photographers and those looking to enhance a groovy themed event. 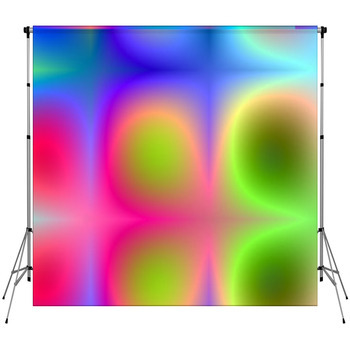 Photographers looking for a fun and wild styled background will appreciate groovy backdrops that are easy to set up and move to any location. Bring back the disco diva inside by adding a groovy backdrop to your next high school dance and let the good times roll. 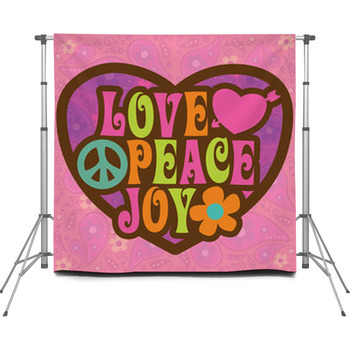 Backdrops can not only add that perfect photo op with friends, but will really enhance the theme of a party! For the holiday entertainer, add a groovy background and make it a costume party, after all who doesn't like a fun themed party? 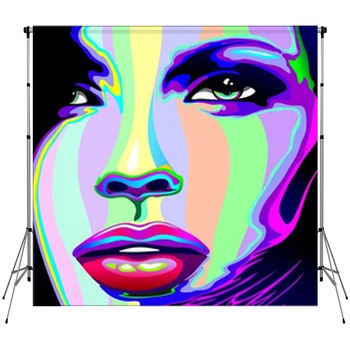 You can take these portable backdrops to the limit and get your friends talking about your next famous get-together. Weddings might be a serious occasion but what bride and groom doesn't want to add a little fun to their reception or after party. 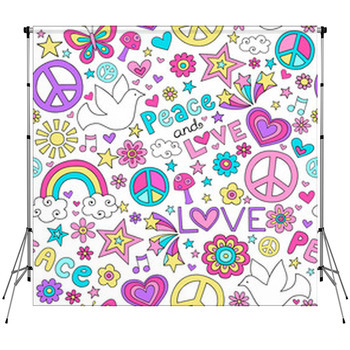 Groovy backdrops can be the perfect setting for a make-shift photo booth that guests will adore, or the background for that one special wedding day pose of the happy couple. And don't forget about that up-coming class reunion that you get to plan. 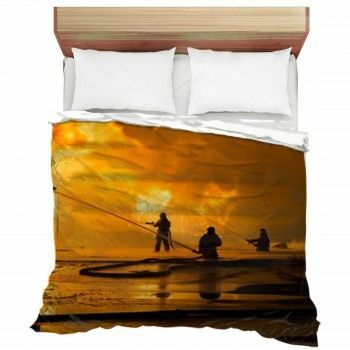 With these nostalgic backdrop designs, everyone will be having fun and reminiscing of the good old days. Not to mention booking your party planning services for their next event! 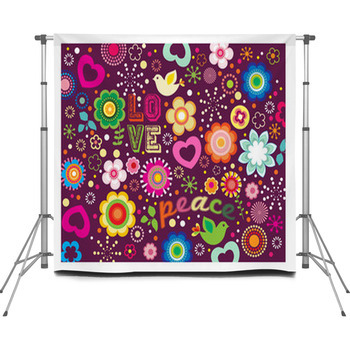 The optimistic days of peace which brought about bright psychedelic designs can enhance any photographers studio by creating a colorful backdrop. Add a fun or funky chair and let the poses begin. Black and white on color or color on black and white, these groovy elements will spice up a simple photo shoot and make any model feel at ease. Some fun props like oversized sun glasses, hula hoops and special disco ball lighting and you'll have a truly unique photo backdrop. From infants, to seniors, families to couples, you'll get everyone smiling to the groovy theme. Let the creativity roll and watch your space go back in time to the era of disco and divas with only a few easy steps and a fun groovy photo backdrop.